A 20-week (+6 week ramp up/preparation phase) remote group training program that follows a progression from base to building to peak to taper for race day. A typical week of workouts will contain 3 swim workouts, 3 bike workouts, 3 run workouts. The group structure allows pricing significantly less than individual coaching and is much lower than many group training alternatives. This plan is geared specifically towards Atlantic City 70.3 and is suitable for later season races in Aug/Sept/Oct. The 6 weeks between the informal start and training start will be a time for you to do strength training and build your bike and run base. You may feel great and want to do more. Relax and have fun for later you'll work (hard) and don't want to burn out early. ***Whether or not you choose to participate in the ramp up phase, by 4/22/18 start date you need be able to run 6.2 miles; ride your bike 25 miles without stopping and swim between 600-800 yards. You'll be ramping up from 5 hours of training per week to around 14 hours of training per week before beginning a 2-week taper leading into the race. 2-prong approach: 2/3 of the workouts are about volume. The remainder are targeted interval workouts at HR zones. Click the button below to see a sample week-to-week training plan. The training takes a significant amount of time. You will ramp up to around 14 hours per week of actual training. Your actual time spent may be longer than this if you need to drive to your swim or runs or other. The first few weeks are around 5 hours per week and it will ramp up to around 13-18 hours of training per week. At the end of the day, you get out of it what you put into it. If you follow the plan you will reach your goal. Actual training is 11-14 hours per week… factor in travel… up to 18 hours. GET ON THE ROSTER! 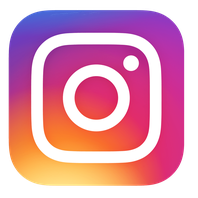 Send an email to info@queensborotri.org to receive a link to the sign-up form. Each participant will have a half hour one-on-one intro call with coach John Grieco. Call dates and topics will be sent to participants in advance of 3/11/18 informal start date. Bike and run will use heart rate zones to inform effort. Based on what he's seeing in TP, coach will also update HR zones as needed. He will let you know if your HR zone is changing. Once he updates your zones in TP, your workouts will automatically update to the new HR zone. Swim workouts are speed based. 1/3 of the workouts will be tagged as breakthrough workouts. Breakthrough workouts are those that build on each other from week to week (it's important not to miss these breakthrough workouts). SIGN UP TODAY! Send an email to info@queensborotri.org to receive a link to the sign-up form. DO I NEED A HEART RATE MONITOR AND CADENCE SENSOR? YES! Many running and cycling workouts will be about time and distance. There will also be interval cycling workouts at effort that are measured by HR target, cadence targets or both. Knowing your zones and looking at all the metrics help Coach to see whether you are performing at target, below target or above target and determine whether your targets need to be adjusted. Camp is going to be high volume and the expectation is that people will have already been comfy at 50+ miles and running at 10+ miles. If more than half of training participants are going to training camp he will build in high volume in June with recovery on return and then start building on high volume. No problem if you don't go to camp. You probably won't do as much volume so you'll have higher intensity in the following “recovery” week will. Not familiar with training camp? Send an email to jennifer.mason@queensborotri.org to get all the details. There will be periodic workouts at Harriman State park on Sunday morning for riding, running and swimming (weather permitting). These workouts will be announced on a rolling basis. This is a great time to get in some ride volume with relatively little traffic and recalibrate your zones. KILL AC 70.3! 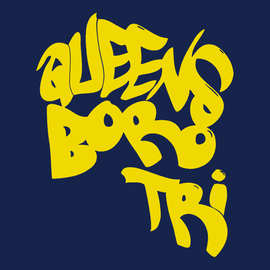 Send an email to info@queensborotri.org to receive a link to the sign-up form. John has been racing triathlons for over 10 years, from sprints to ironman distance. 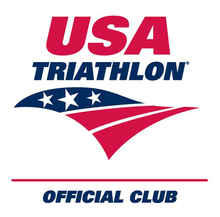 He is USAT (USA Triathlon), USA Cycling and RRCA certified and has been coached by some of the best in the sport. Having qualified and raced for Team USA at their World Championship in 2014 and 2017, he is personally aware of all aspects of training and competing at the highest level. John has successfully completed over 50 triathlons as well as several marathons and duathlons.